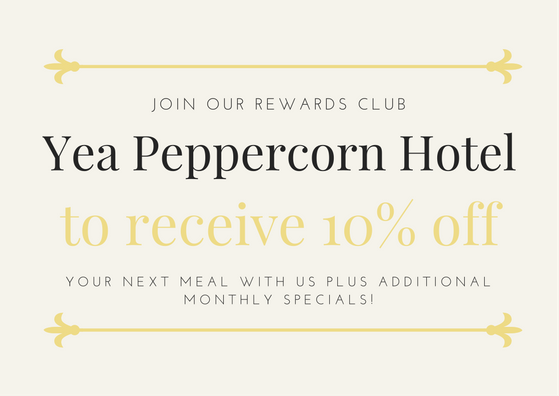 Join the Yea Peppercorn Rewards Club! We would love to have you join our Rewards Club and receive 10% off your next meal with us PLUS additional monthly specials delivered to your inbox! Simply Enter your details, confirm your email address and print off your 10% voucher!